Working with a jeweller and the vinyl record manufacturer Dubstudios, I created this engagement ring for my partner Shelina. The ring has a 20 second recorded message (my proposal) etched onto it’s surface and can be played back with a miniature record player. 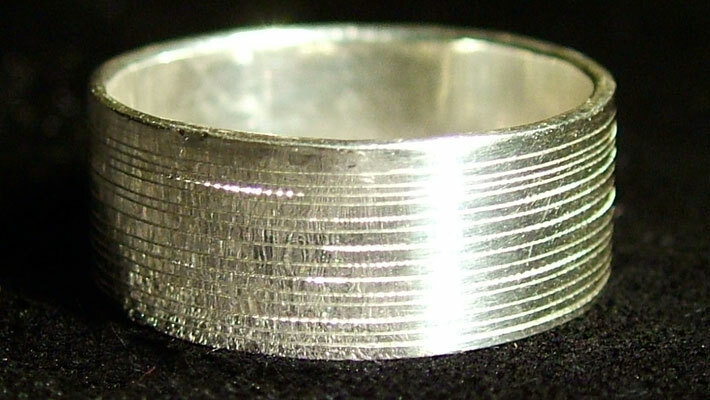 100 lbf/in² of pressure was required to cut the silver ring, using a vibrating diamond stylus. 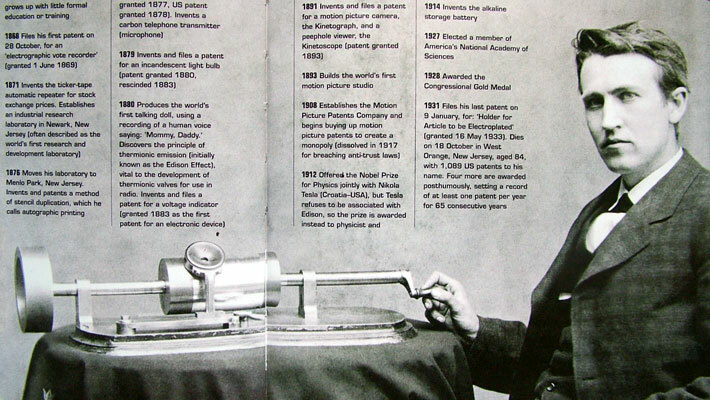 The ring is also a homage to Thomas Edison who made the first sound recording machine – the phonograph in 1877. Using the ring, Luke proposed to his partner Shelina in a hot air balloon over Bristol in 2005. The story made The Times newspaper and the BBC News as well as various feminist websites across the world. 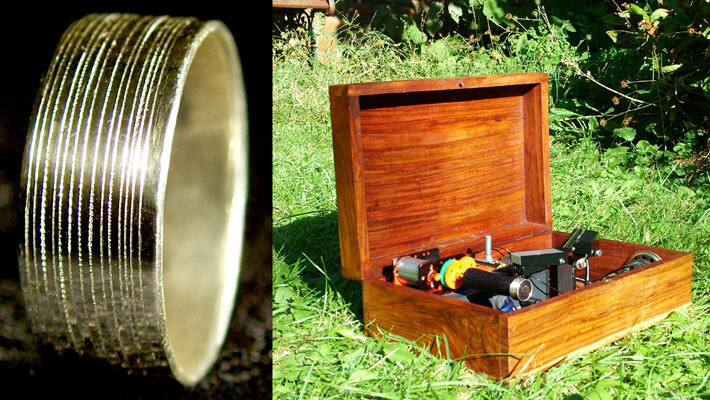 After making this engagement ring Luke then created a Portrait Projecting Ring for the wedding, working with local jeweller Tamrakar. In a darkened room, light from a candle or LED passes through the ring to project a series of portraits. A selection of miniature slides were made of different family portraits and inserted into the edge of the ring for projection. As Jerram’s family grows, photos of his children can be added to the ring. The ring was inspired by 19th Century Stanhopes. 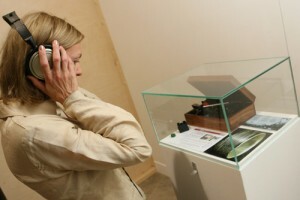 A copy of the ring has been presented in sound art and wearable art exhibitions.